Our children's safety is always our priority. With an ever changing online world, it is vital that we try to keep up with what is going on so that we can keep our children safe. You wouldn't let your child wander off into London without knowing where they were and who they were talking to. In the same way please don't let your children wander around the virtual world without having the same knowledge. A competition can be a great way to start talking to your child about online safety. Together with O2, NSPCC have created a new quiz game on the Amazon Alexa, to pit parents up against kids in a battle of digital wits. By testing both sides’ knowledge of the online world, we’re aiming to get families talking about the exciting possibilities of the internet, as well as the risks to be aware of. You can play Parents vs Kids on any Amazon Echo device or by downloading the Amazon Alexa app on your phone. It’s a fun way to find out who knows more about all things online, as well as learning more about helping your child to stay safe. The NSPCC's new How Safe report showed that over 3,000 online grooming cases have been recorded over the past year. The then Culture Secretary, Matt Hancock, gave a keynote address, announcing there will be a new social media law to help keep children safer online. Share Aware offers simple, step–by–step advice that will help you have the right conversations with your children about online safety. Learn how to untangle the web through the Icebreaker email series. In just six weeks you'll be an expert in a child's online world and how to spot potential risks. Alan McKenzie is a e-safety advisor who works in many different schools across the country. He has his own website that promotes e safety and regularly publishes a newsletter with all of the latest information in it. The internet allows us all to explore, learn and develop. It allows us to be independent, to be in control, to develop our identities. It also allows us to create social connections with others. These are great things and a reason to encourage children to use the internet. Sadly, the internet is also a place where we can be taken advantage of and lied to. Just as in the real world, there are some people who will take advantage of the virtual world and use it to harm others. Our children will use the internet. It is vital that we teach them to stay safe. * What are you sharing? Can you share images and locations? * Who are you sharing with? * Can you 'chat' to other members? Is this chat public - ie in a chat room where others can see the messages, or is it private, where messages are only seen by the sender and the recipient. * Is it a gaming site? Who are you playing with - ie other members, friends, strangers, the computer? * Never give out your address to anyone. * Never give out your phone number. * Tell your parents your passwords but NO ONE else. 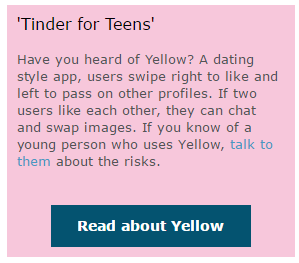 * Never arrange to meet anyone you have met online without checking with your parents first. 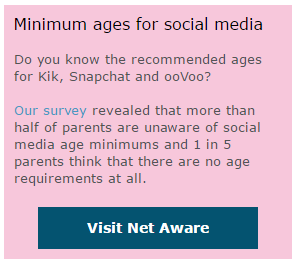 * Never put pictures on line without checking with a parent that they are suitable. * Do not respond to any messages that are rude or make you feel uncomfortable. ALWAYS tell an adult if this happens. New apps are being developed almost daily. Many of these are free to download and can be very useful. There are age restrictions in place on these apps and they are there in an effort to help your child stay safe. If you allow your child to have an underage account it is vital that you know what they are posting and who they are communicating with. Remember that not everyone is who they say they are and on many of these sites anyone can contact your child. Please make sure that you are also up to date with the Apps security settings. Many apps have a way of blocking unwanted contact and preventing the sharing of information. It is very important to talk to your child about their security settings and ensuring that they are as high as possible. Click on each of the App logos above to see details of how to secure your account. Children will keep up to date with the development of Apps far quicker than adults will, but there is help out there! The NSPCC and 02 have got together to look at social media apps for children. This site lets you know what the app is and they are reviewed by parents like you. So please arm yourself with the information you need before letting your child use the app. Please remember some apps are not what they seem. Please ensure that you are up to date with this and check your child's settings to ensure that they are private and that their location is hidden. These are apps that are designed to hide content. As if staying on top of all the other apps is not hard enough work as a parent or carer, there are some apps that are deliberately designed to ‘hide’ information, photos and communication on a phone or tablet. 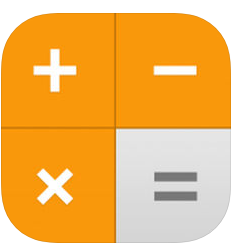 These apps are often discreet with their icon and look like any other app, such as a calculator, thus deceiving anyone except the phone user of its function: to hide inappropriate content. These vault apps can be used to hide communication, such as sexting. 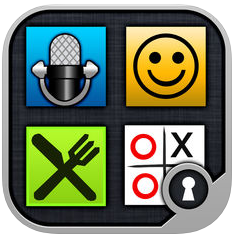 Secret calculator (iOS) looks like a calculator app, but once the user enters a code it accesses the secret storage. There is also a ‘secret’ camera function. 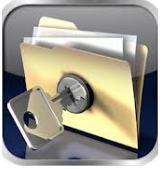 Private Photo Vault (Android, iOS) works in the same way as the secret calculator although is not as discreet with its icon. It also contains an unfiltered web browser that users can access, which overrides any safety browser you have in place on your child’s smartphone or tablet. Best Secret Folder (iOS) prides itself on being hard to notice as a secret folder. It has about 45 million monthly users worldwide including the England football team, who reportedly played it in their World Cup downtime. Most devices allow you to set time limits on game play, set age limits for content, and restrict in-app purchases. 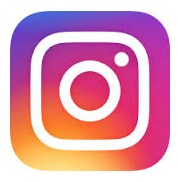 Visit the website ‘ask about games’ for links to detailed instructions on the device your child uses – the site covers Playstation 3, Playstation 4, Xbox 360, Xbox One, Apple and Android phones, and Nintendo Switch. The National Society for the Prevention of Cruelty to Children (NSPCC) has a range of resources for parents on internet safety. 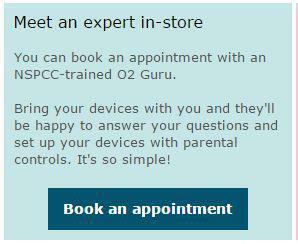 The NSPCC has also teamed up with O2 to offer advice to parents. 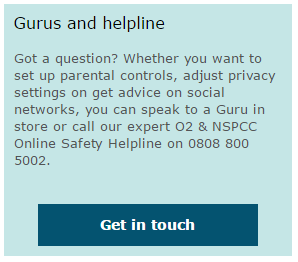 You can call their free helpline on 0808 800 5002, or make an appointment with an O2 Guru in an O2 store. It is important that children and adults know how to report online behaviour that they feel is inappropriate or dangerous. CEOP is the main way of reporting online abuse. 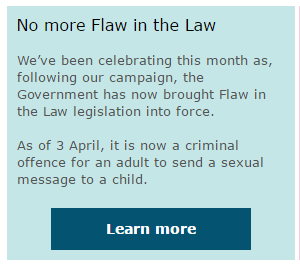 This is an agency linked to the National Crime Agency and is responsible for child exploitation and online protection. The 'click CEOP' button can be found on many social media websites and will enable anyone to report online abuse. Please note that this is not a 24 hour service and if your feel a child is in immediate danger you should always call 999. If you need to report a case of abuse please click the button below to be linked straight to the CEOP site to make your report. On line bullying is another issue that is on the rise. Bullying no longer ends at the school gates. If your child is being bullied on line it is important that they talk about this. * Do not respond to any messages that are rude or unpleasant. * Keep evidence of anything you feel is bullying. This can be through screen grabs or printing. * Talk to someone. Come into school to talk to us, contact the online provider or the police. Kidscape also has some great advice. Click on the picture to find out more. Childline is also a good place for children to go if they are feeling worried or concerned. We would obviously prefer that they speak with a trusted adult so that we can support them with the things they are worried about, but this is a great support for when children don't feel they can talk to us. Video is a great way to stay in contact with family, talk to multiple friends at once or just get creative. Sites and apps like Skype, Omegle and Musical.ly allow children to do just that. Using a webcam, tablet or smartphone, users can share videos and have live, face-to-face conversations with other people online. But there are risks too, including talking to strangers. 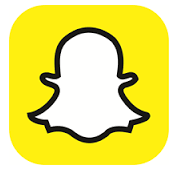 It's important that parents and young people understand the dangers involved in using video apps. Our new advice page gives information on the latest video chat and video sharing sites, what the risks are, and top tips to help keep children safe online. If you're worried about what children are searching for online, who they're talking to or what they're seeing, we can help. Parental controls are one of the important ways to keep children safe online. Parental controls can be used to block upsetting or harmful content, control in-app purchases or manage how long children spends online. And the good news is they're really easy to set up. Talking to children about online safety and setting up parental controls are two of the best ways to keep them safe online. 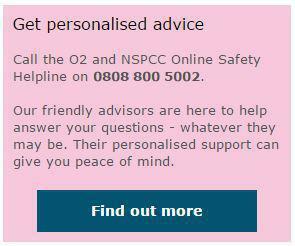 And if you're stuck or have any questions, the NSPCC are here to help. If you want more control over what your children can access on line then this is a package recommended by the ECP trainer who we have had in school. Click on the icon to see how you can control not only what your child sees, but when they can see it!